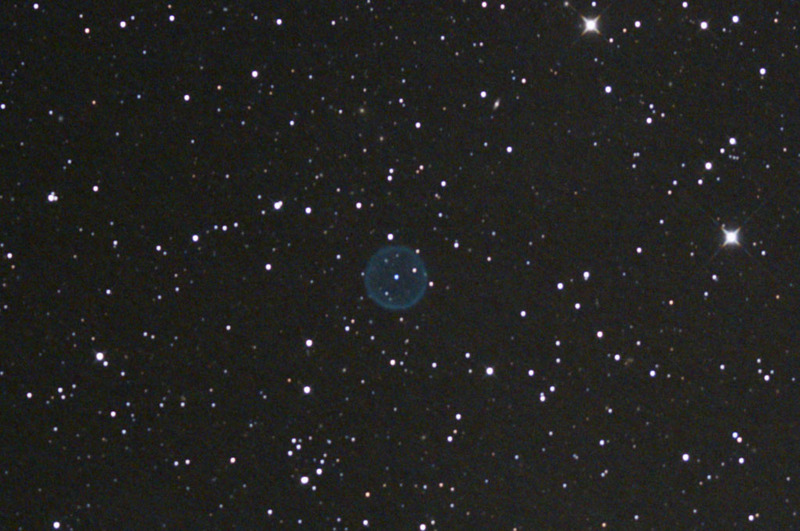 This image was made with a modified Canon 40D and a 20-cm (8") f/2.75 ASA Astrograph. Compare this image with the image I made at home! The darker sky in Puimichel makes a big difference in the noise of the sky background, even though te temperature was much higher! 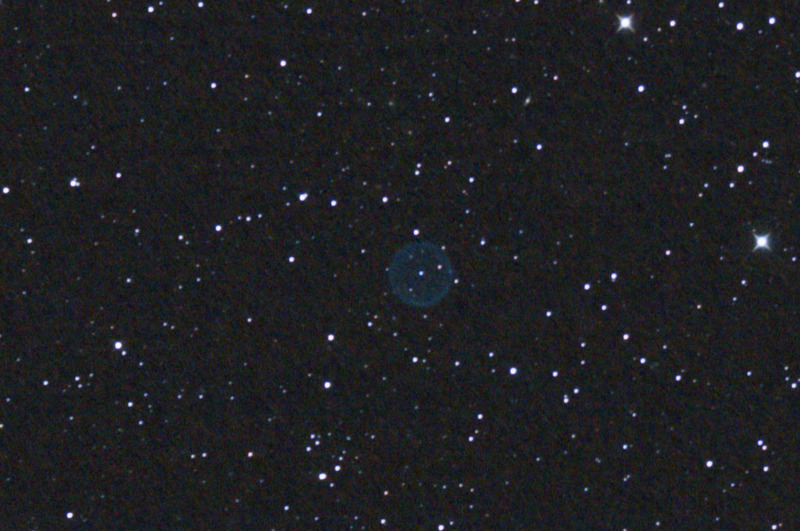 12 x 5 minute exposure at ISO 800 with a standard Canon 40D on April 6, 2008 from Beilen. This planetary is extremely faint and perfectly round. 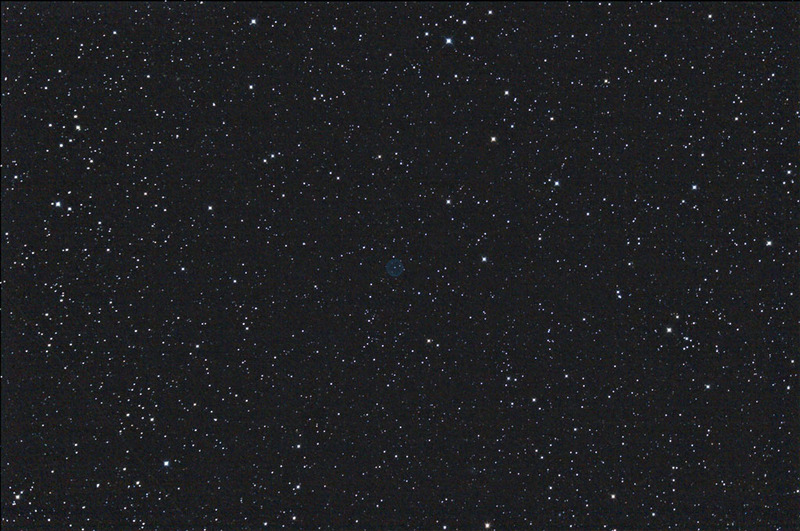 This image was made with a 20cm (8") f/2.75 ASA Astrograph. Sky background was 20.5 mag/ sq. arcsec. measured with the SQM, so not bad at all.